The Father Daughter Dance Song. 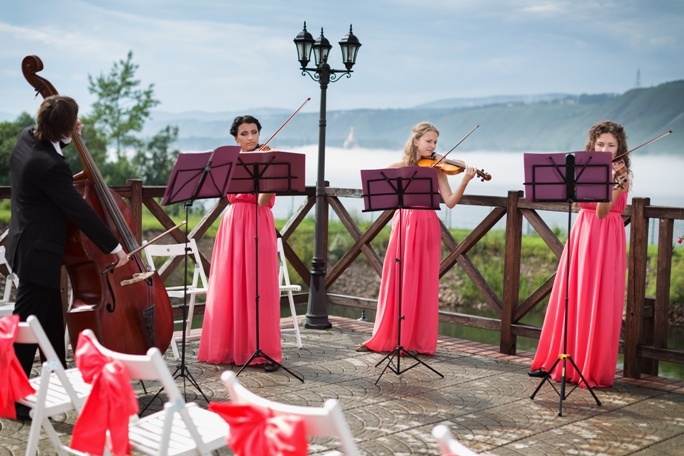 Wedding music is a very important part of your wedding planning. Choosing the right First Dance Song, deciding whether to hire a DJ or a band (Why not both?) and dealing at the same time with your endless wedding planning tasks can be hard and, sometimes, frustrating. Are you a fan of Rock ‘n’ Roll? Do you just love Elvis and want many of his songs played on your wedding? Don’t assume that your DJ (or band) will know this! Our advice is to talk to the person in charge of your wedding music and let them know any specifics they might need in order to provide the best service at your wedding. Whether it is a style you want most of the music to be in or you are not a fan of music that’s too loud, it’s always a good idea to let your musicians know these details in advance, so that all you have to worry on your wedding day is whether or not your shoes will stand all the dancing! If there’s one question, whose answer is more important than “Would you marry me?” it’s “What should our 1st dance song be?” Unless you are among the very few chosen couples who already have “their song”, you must already sweat a little just by the thought that you will have to make this important decision. Our advice is to approach this matter wisely and not spend the next few weeks in YouTube browsing through Billy Joel’s discography… Prepare a short list of your top 5 romantic songs instead and make the groom decide which one is his favorite among them and you’re all set! No matter how good (bad) you are at dancing, there’s always the possibility to embarrass yourself (and your spouse) in front of about a hundred of your closest friends and family members right there on the dance floor on the most memorable day of your life. Take this piece of advice and get some dance lessons before the big day. This may as well end up as the nicest part of your wedding planning! Don’t forget the Never-Play-These-Songs list! You may find it obvious that a person who is not a fan of Macarena will most likely not tolerate the Gangnam Style either, but your DJ cannot know anything you haven’t even talked about. That’s why you should hand him your Do-Not-Play list way before the big day and even ask for his written confirmation that no song from this list will be played at your wedding.